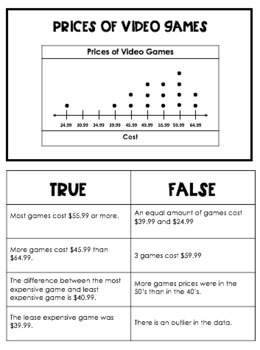 This product has 9 graphs to interpret. 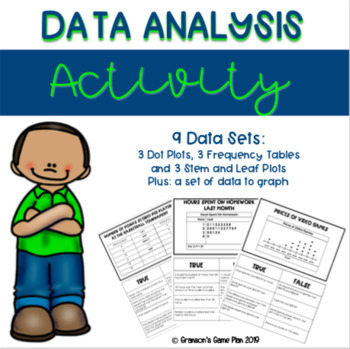 There are 3 dot plots, 3 stem and leaf plots and 3 frequency tables. 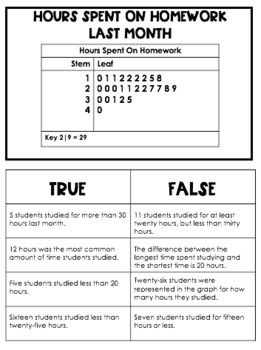 For each table, there are true and false statements that the students can sort based on the data in each graph. 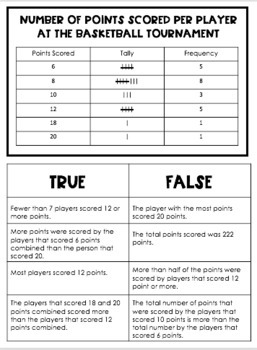 There is also a data set that students can then create one of the graphs to represent their data.